Newsflash! Outsourcing is here to stay. Even though it exists thousands of years as a concept, the several past years it has gained a lot more popularity. Outsourcing is basically hiring a third party vendor to work for you so that you can use all the possible resources to make your business successful. In more technical terms, outsourcing offloads specific business functions to people or companies that are not part of the company’s team and most often to people in different time zones in order to make all 24 hours productive for the sake of the business. 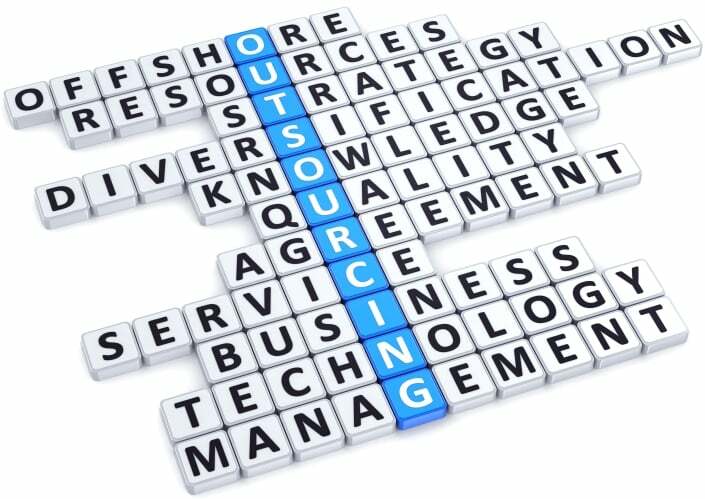 Outsourcing has been proven as a successful strategy that even the biggest companies in the world use it. That is completely normal due to the various benefits it has and the opportunities it creates. Let’s have a look at the most noticeable ones. When the business is expanding, the number of responsibilities is growing as well. As a manager, you might not be able to respond to all of the new challenges and if you don’t make a smart decision at that critical moment you might begin to lose the human and financial resources that made your company what it is today in the first place. Hence, using outsourcing services for these activities can leave you focused on the activities you were executing previously and at the same time bring in more profit without having to sacrifice quality or service from your employees. Expanding your business means more space, more equipment and more workforce needed. This can cost a lot especially when it comes to businesses that depend on infrastructure which can be an extra burden for the company. Outsourcing to low-cost countries can save you up to 60% of the money you would spend in your country. Thus, outsourcing services related to medical billing, call centres, technology and digital marketing can bring in big savings in the company. Another great benefit of outsourcing is the possibility to have independent tasks done outsourcers while your business maintains financial flexibility. In addition, you can rest assured that your business will be running smoothly while you and your staff are on a holiday. Furthermore, after allocating the tasks to the outsourcer, you can develop an internal task force between your employees and use them more efficiently. Sharing the risks with the outsourcing partner means that you will share the burdens with them as well. In this way, you can find an even more competent person in that field who will execute the task more efficiently so you can fewer potential risks and problems to worry about. Outsourcing connects you to more skilled expertise who will guarantee you a quality result. A different time zone will give you the advantage of time. You can have all the hours of the day efficiently spent on the projects you are working on. When your work day finishes, the outsourcer’s begins which means that they can take over after you go home. Completing critical tasks in that period of time is invaluable because the next day you wake up to completed tasks. So, you just continue doing your job.